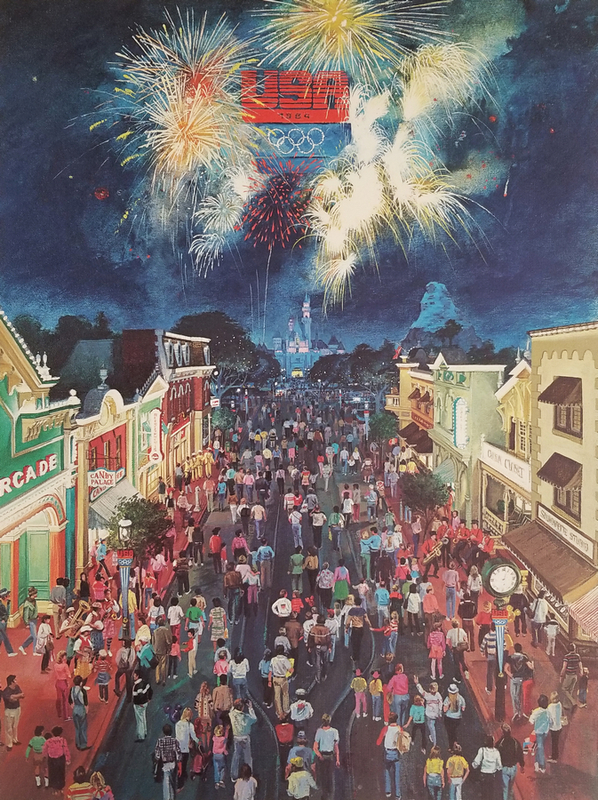 This is a rare lithograph featuring Charles Boyer's artwork of the Disneyland fireworks display, created specifically for "Olympic Night" at Disneyland on March 24, 1984. The event was held as a tribute to the dedication and accomplishments of the United States Olympic team. This lithograph is unnumbered and unsigned, possibly created to do color corrections. 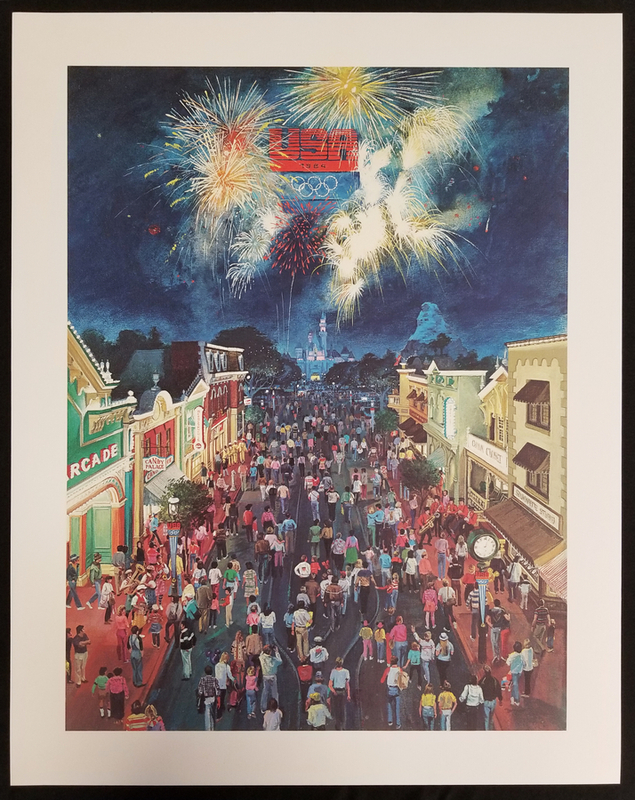 This lithograph measures 28"x22" and is in fair to good condition with some faint creasing throughout and a few spots of discoloration and edge wear.